Practical Data Science with R lives up to its name. It explains basic principles without the theoretical mumbo-jumbo and jumps right to the real use cases you'll face as you collect, curate, and analyze the data crucial to the success of your business. You'll apply the R programming language and statistical analysis techniques to carefully explained examples based in marketing, business intelligence, and decision support. Business analysts and developers are increasingly collecting, curating, analyzing, and reporting on crucial business data. The R language and its associated tools provide a straightforward way to tackle day-to-day data science tasks without a lot of academic theory or advanced mathematics. 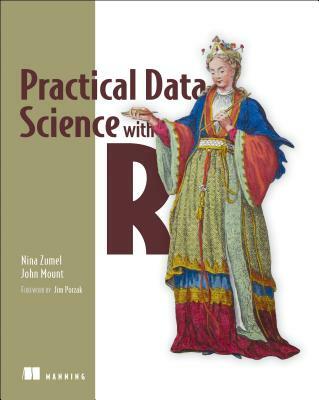 Practical Data Science with R shows you how to apply the R programming language and useful statistical techniques to everyday business situations. Using examples from marketing, business intelligence, and decision support, it shows you how to design experiments (such as A/B tests), build predictive models, and present results to audiences of all levels. This book is accessible to readers without a background in data science. Some familiarity with basic statistics, R, or another scripting language is assumed. Nina Zumel and John Mount are cofounders of a San Francisco-based data science consulting firm. Both hold PhDs from Carnegie Mellon and blog on statistics, probability, and computer science at win-vector.com.